SOUTHSIDE OF AYLESBURY. Michael Anthony are pleased to offer a EXTENDED THREE BEDROOM semi detached family home situated on the popular Bedgrove development. 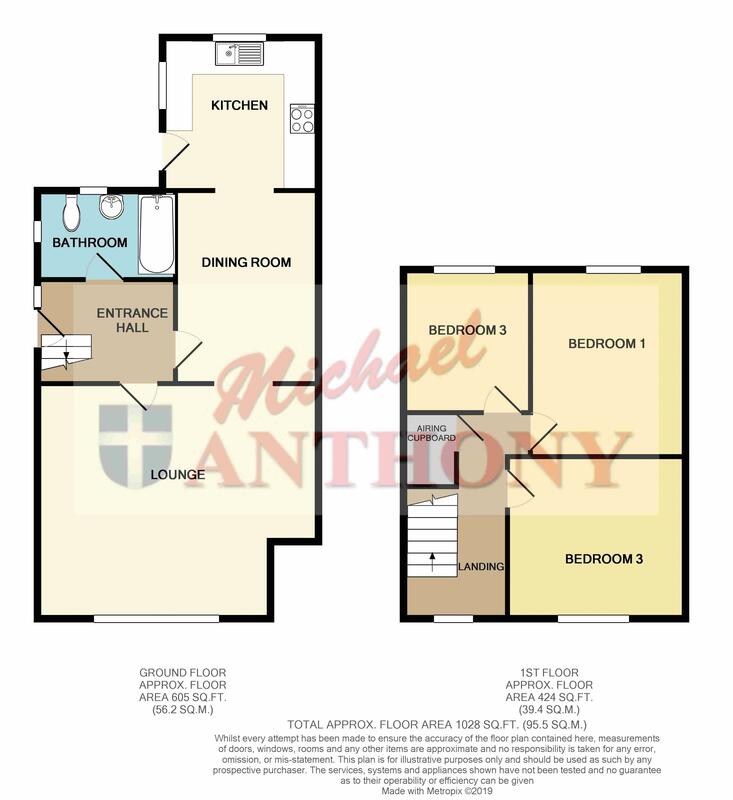 Accommodation comprises; entrance hall, kitchen, dining room, bathroom, three bedrooms, cloakroom and driveway parking. The property also has further planning permission granted. Call 01296 433666 for further information or to arrange a viewing. Stairs rise to the first floor, doors to lounge, dining room and bathroom. Double glazed window to the front, feature fireplace, radiator, archway leading to dining area. Radiator, open to the kitchen. Double glazed windows to the side and rear, fitted with a range of storage units at base and eye level, work surface areas, single drainer sink unit, integrated electric oven and gas hob, space for washing machine, dishwasher, fridge and freezer, door to rear access. Panelled bath, wash hand basin set in vanity unit, low level wc, heated towel rail, double glazed frosted windows to the side and rear, fully tiled, tiled flooring. Doors to all rooms, airing cupboard, double glazed window to the front. Driveway providing off road parking for several vehicles. Mainly laid to lawn with flower beds. Patio area, lawn area, flower beds, side access to house, large garden shed with power.